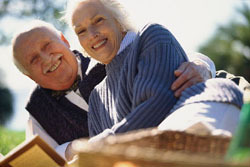 Integrity Retirement Plan Services, LLC is a full-service Third Party Administration company. We provide different levels of services based on client need. Our Third Party Administration only services are available for employers that only want Administration while controlling their plan's investments. Accredited Investment Fiduciary ® Services are available as stand alone Fiduciary Management Consulting or as part of our full service Administration. Please feel free to contact us for a no obligation discussion of your retirement plan needs.